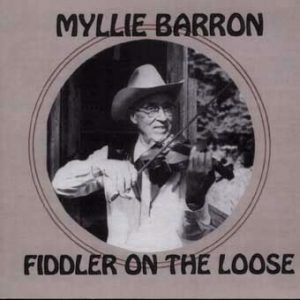 I’ve mentioned the wonderful Manitoba/British Columbia fiddler, Myllie Barron a few times (June/July, 2006, the Evergreen Fiddler III and April, 2008). He was born in 1910 and was an accomplished dance fiddler, radio entertainer and winner of some significant competitions. We always enjoyed his visits to Seattle, Northwest Folklife and assorted jam sessions. This is one that Phil Williams recorded at a jam session in 1995 in Weiser, Idaho and has posted on the Voyager Records Web site (www.voyagerrecords.com). Listen there click the link below. Myllie really digs in on this one and lets us know what real dance fiddling is all about. Notice the punch he gets on the grace notes in the A part. Kiley’s Reel has been published in the Cole Book/Ryan’s Mammoth Collections of fiddle tunes and Phil included it in his “Mandolin Player’s Pastime,” a substantive collection of fiddle tunes for mandolin with tablature. In fact, that is where I first learned it. It has also been recorded by Don Messer, Alisdair Fraser and Rodney Miller, among others. The A parts are pretty consistent across the different versions with more differences appearing in the B parts. If you haven’t done so lately, you should visit the Voyager Web site and peruse the selection of recordings, books, articles and, in particular, the Northwest Field Recordings section. On this one Phil has featured, at present, some 333 recordings of 102 different fiddlers from the Voyager archives. Many are locally known fiddlers/musicians you may have heard at shows or contests. Other nationally known artists may have been just passing through town: Bill Monroe or Tommy Jarrel for example. In fact, there is a complete two hour private performance of Mr. Jarrell recorded at the Williamses’ home in Seattle. Big Thanks for all the incredible work Phil and Vivian Williams have engaged in over the years.